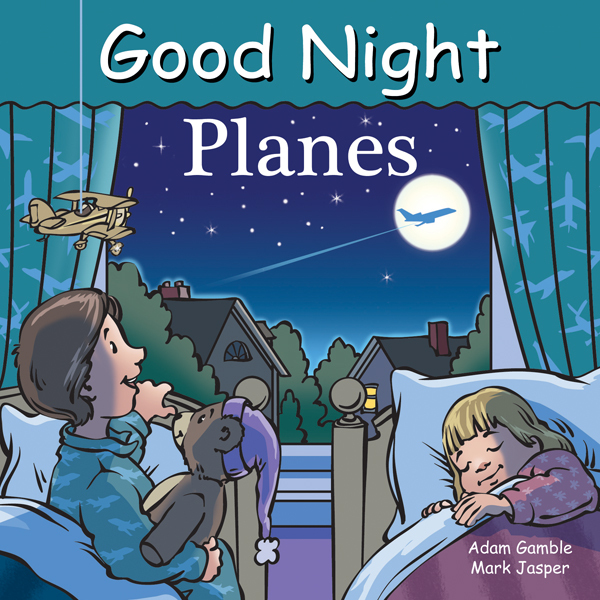 Good Night Planes features jumbo jets, seaplanes, jet fighters, twin engines, cargo planes, turbofan engines, propellers, runways, pilots, flight attendants, baggage handlers, air traffic controllers, skydivers, stunt planes, and more. Up, up, and away! Flying has never been so much fun. 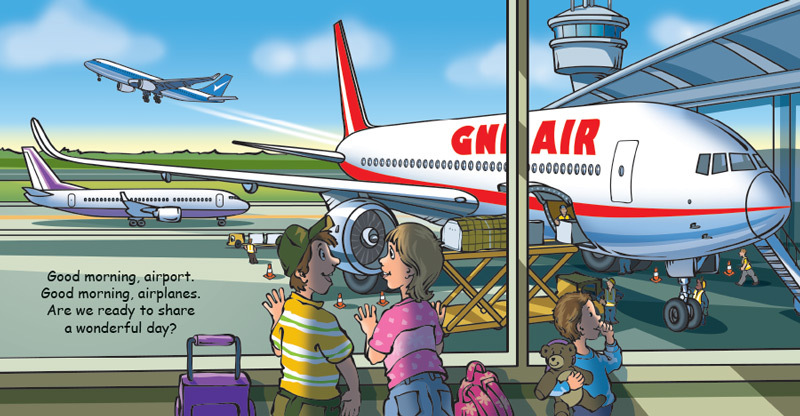 Young pilots will fly the friendly skies while learning about different types of aircraft and airports.